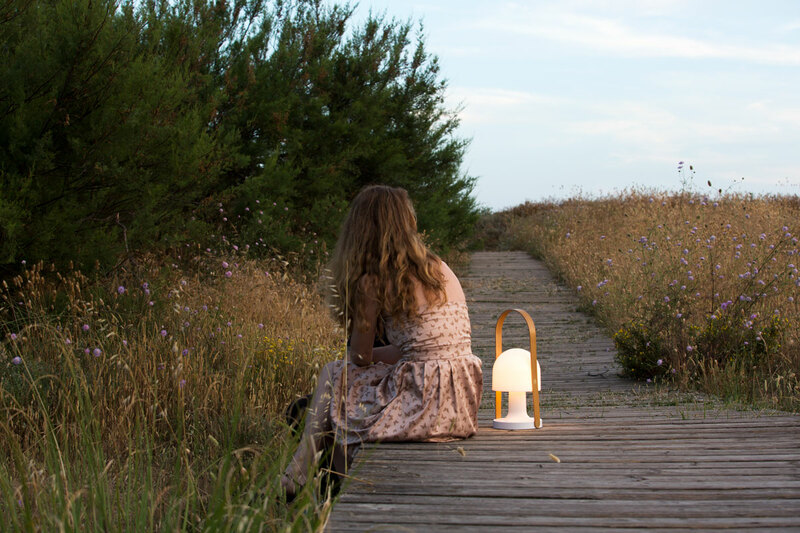 The FollowMe broke molds and forged a new path in lighting: a beautiful, portable lamp to carry everywhere, a personal object of light and warmth. Three years and many accolades later and Marset is ready to launch a new version, with a larger size and greater light output: the FollowMe Plus. FollowMe Plus complements its classic predecessor. 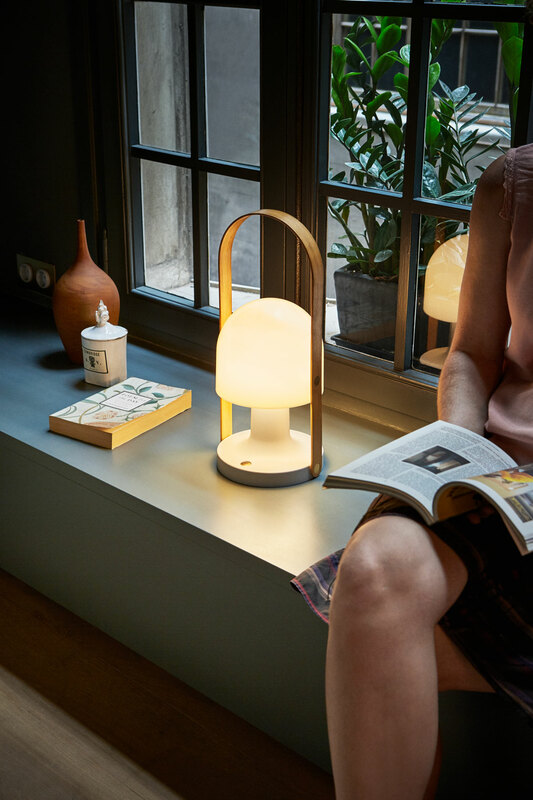 While the original size is perfect for cozy areas, the Plus reproduces the same warmth and quality of light with greater power. 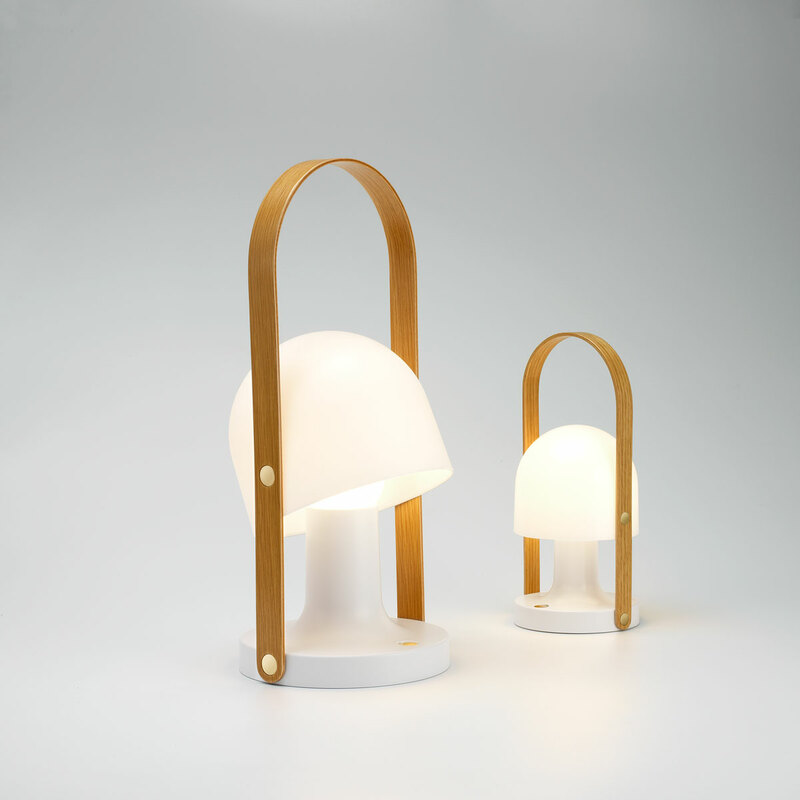 This version stands out for its ability to create entire atmospheres, and is great as a table lamp, desk lamp, or even on the floor. The FollowMe’s oak handle invites you to carry it with you. 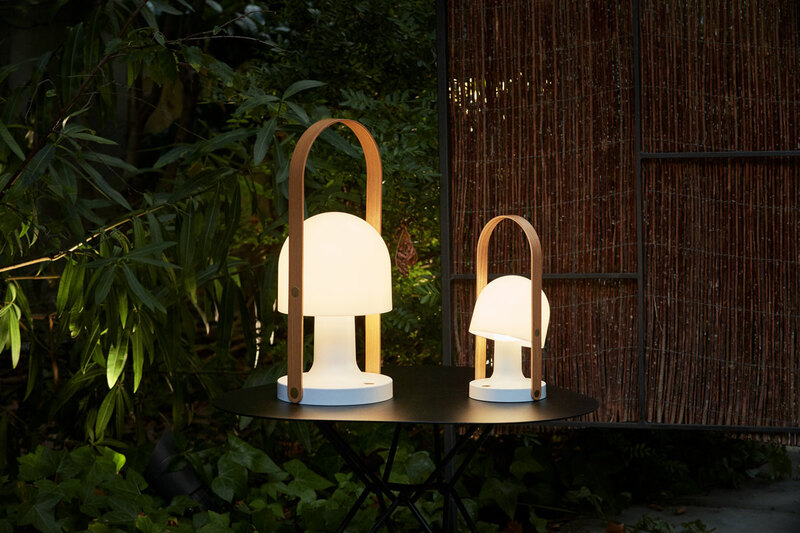 Both sizes utilize LED technology and have a tilting polycarbonate screen that offers both cozy atmospheric light and direct reading light. A three-position dimmer regulates the light intensity, allowing for a continuous output of between 5 to 20 hours, and the micro USB charging cable makes charging your FollowMe quick and easy.